Thursday 25th September 2014 – 1.00pm – Claire Brown. 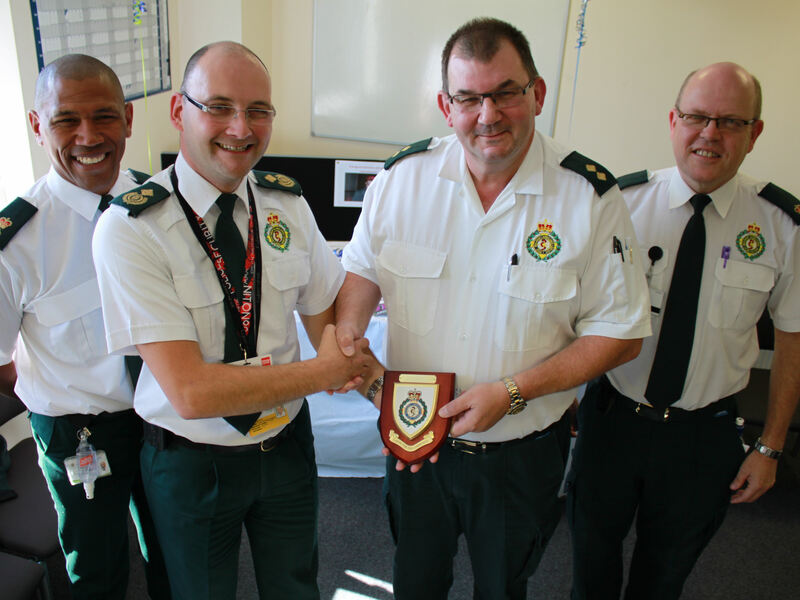 After 35 years of saving lives, a paramedic from the Black Country is hanging up his uniform to retire and start a new chapter in his life. Willenhall-based Paramedic, Roy Sampson, worked his last shift on Wednesday this week and was thrown a surprise farewell party by his colleagues who had turned out en masse to wish him well. 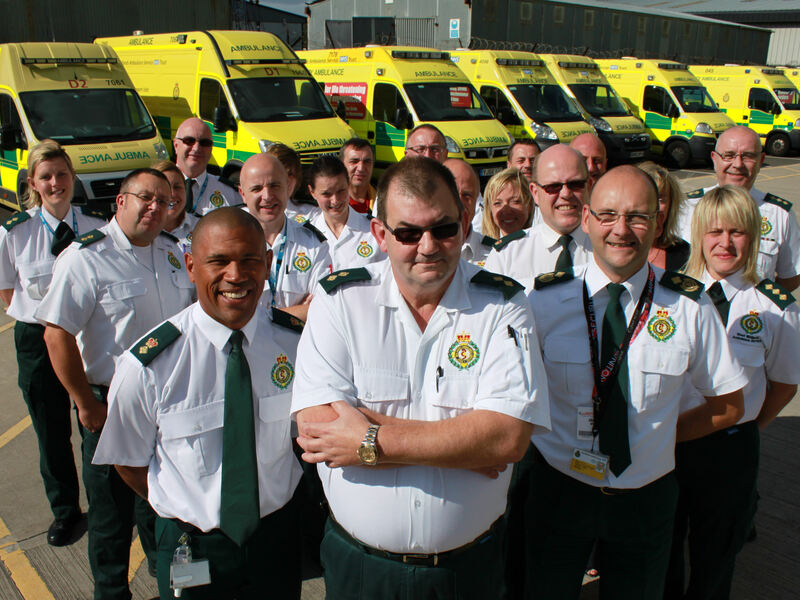 Roy, 54 from Cradley Heath, swapped his first job at a bakery to join the Trust as a fresh-faced teenager to become an ambulance attendant in Birmingham in 1979. In the early years, as well as working on the ‘front line’ Roy also tried his hand at patient transport services taking people to and from hospital appointments. 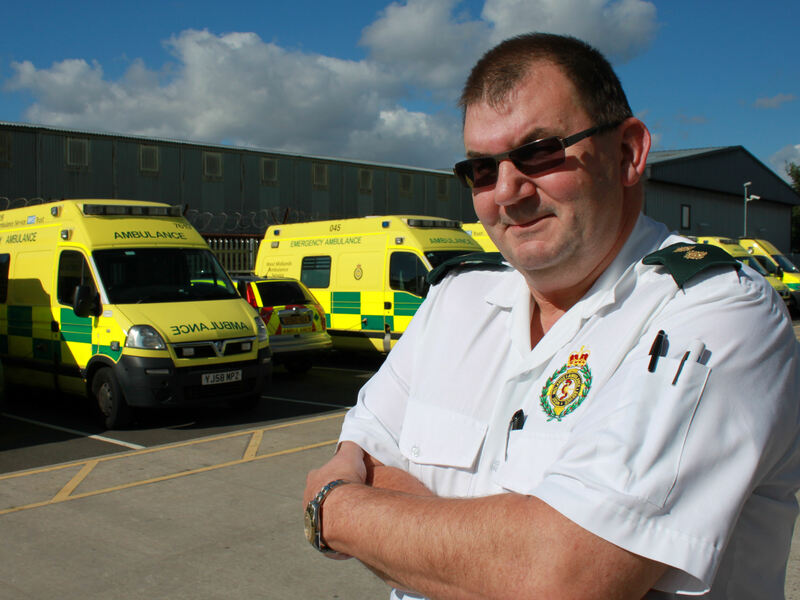 After qualifying as a paramedic at Hob Moor Road in the 1980s, he quickly worked his way up the career ladder and moved around Birmingham and the Black Country to take on more senior positions. After several years of working in the Emergency Operations Centre in Brierley Hill, Roy recently returned to the road for his final role as paramedic Area Support Officer (ASO) based at Willenhall Hub. On Wednesday 24th September, Roy said: “Working my last shift has been very emotional. The ambulance service has been such a big part of my life and it’s difficult to comprehend not being here anymore and not working with my friends. I feel sad that I’m leaving but I know it’s the right time for me. Photograph 2: Roy (front centre) with colleagues.